It’s Full Moon day… in Sacred Virgo. It’s a lovely gentle day here on the border of NSW and Qld, the very tip of the Northern Rivers; misty and overcast and exceptionally still. At present only the distant sound of a bell bird interrupts this stillness. It appears all are resting or have taken their energy inward. Such a gentle, nurturing energy on this Virgo Full Moon. Just now ~ the Ibis have arrived; it’s been a while since they’ve been. I look forward to their visits. Their unique honking voice , like the car horn on an old fashion car, heralds their approach; and the collective sound of their wings as they take to the sky… is one of my favourite sounds. There’s a lot presenting in this super Full Moon, so many players contributing their special bit. This month of March is power packed indeed. Today’s Full Moon sets the stage for the approaching 7th and final exact ‘coming together’ of our two masterful lords of the sky ~ Pluto and Uranus; here in Oz on St Patrick’s Day, March 17th. Their purpose is to help us shift – something they’re particularly good at. We need to move… physically and metaphorically. We need to let go of what no longer serves us; we need to be conscious in the creation of our lives. To live with awareness of our role in creating what we see and feel. Major evolutionary events are occurring… within us and in the world we live ~ on Planet Earth. We can no longer say we are ignorant of how things happen. All is being revealed. Will we step up and play our part? Or will we linger in the shadows of our no-longer-working self. Sometimes when a lot is happening we need to step back for a moment and view our life/our self from a distance, what am I doing, what am I creating? We can never be too busy to ponder these questions… and listen carefully for the answers. We need to reclaim our power, we need to be the magnificent human being we are. The world we have created around us, our social systems, our customs… are all up for review. This is a time of great change. It won’t be stopped. We can make it easy or hard. Yes, we are part of a greater whole, but all we can really do is direct our own life. As the Goddess Virgo shares her sacred energy, she reminds us of the sacredness within us. We are not slaves. We are powerful beings. 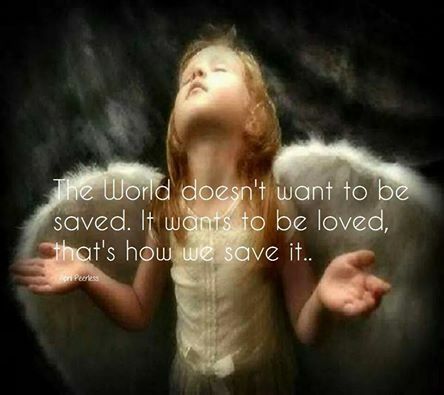 We are human beings, divine creations ~ powered by the great Life Force… here for a very special reason. As we move through these thick and turbulent waves of energy, we need to remember who we are. We need to find our way, we need to know where we stand. We need to know what we want. We need to allow ourselves to enjoy. We need to find our way home. No-one can tell us… we need to find it, we need to know for our self. Make this month count… create the life you want.